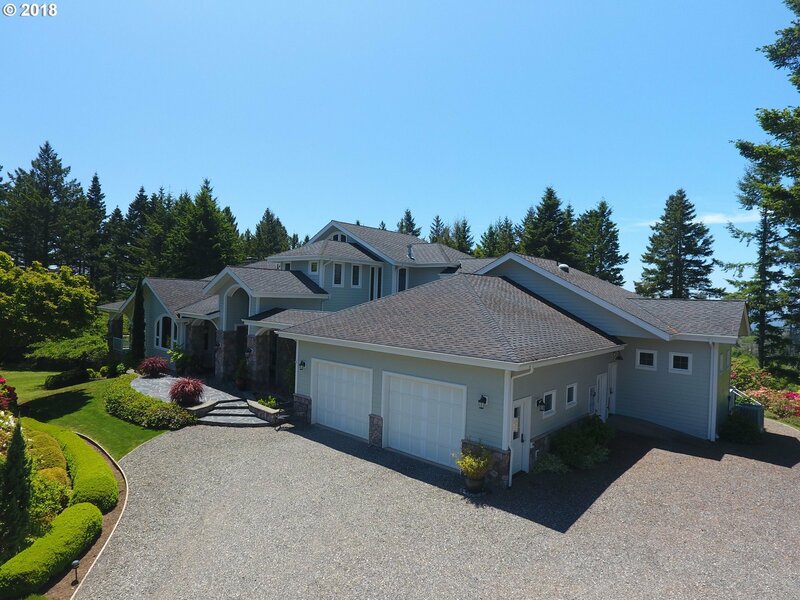 2008 Custom Built 2 Home Estate: over 5000 sq ft in main house and 825 sq ft in the guest house. Experience the outstanding craftsmanship and impeccable attention to detail inside while enjoying the peace and privacy of over 11 pastoral acres. The setting is completed with serene views of the Pacific ocean as the backdrop. Escape into your own private "Garden of Eden" offering you seclusion and only a few minutes outside of town!